FRONTENAC - (U. of MN) Excellent winter hardiness and vigor. 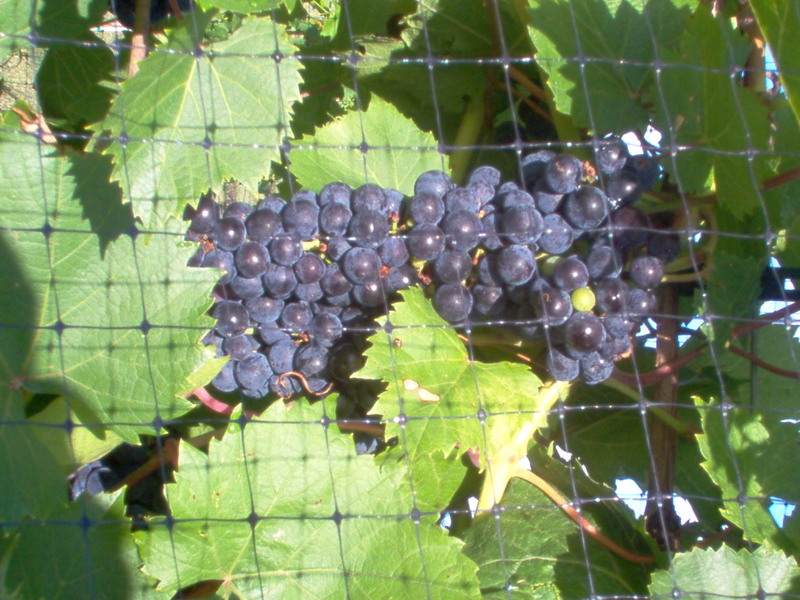 This grape will make some very nice, full body wines; it also makes a semi-sweet darker rose that is very well received. Cherry seems to be the dominant flavor. I have also had some wonderful port style wine made from the Frontenac. There are many options with this grape. ST. CROIX (E.S.) This grape has good winter hardiness and vigor. Medium size berries with low acid. The vine is vigorous, but to get good production you need to leave enough buds. It makes a nice wine on its own, but can be used for blending. 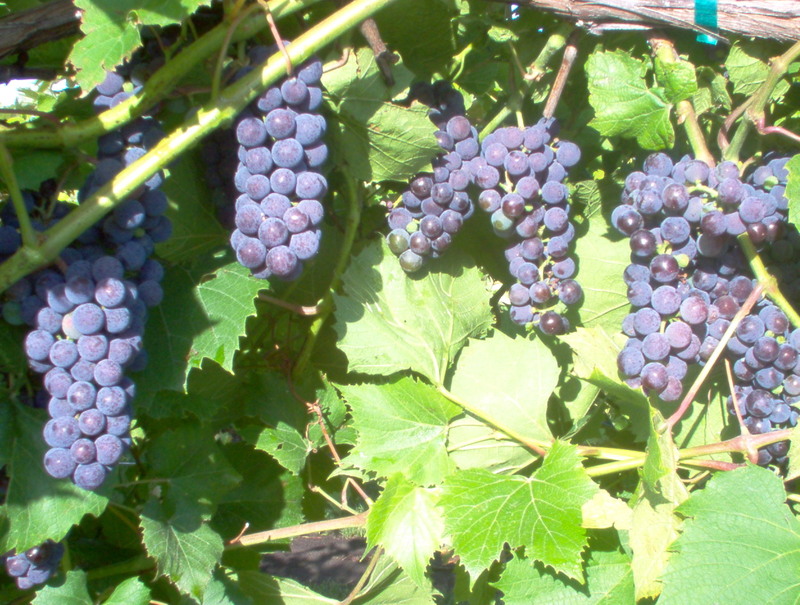 KING OF THE NORTH - This is a very cold hardy vine, very vigorous and produces a lot of fruit. I don't know if anyone knows where the cross was made, but this grape will make a sweet, grapy, concord-style wine. Nice for sipping after dinner. This grape also makes very nice grape juice and jelly.